Still looking for the perfect gift for friends and family? Something unique, thoughtful and exciting? Why not give the gift of beekeeping! This holiday season, A.B.C is offering gift certificates to some of our most popular programs. 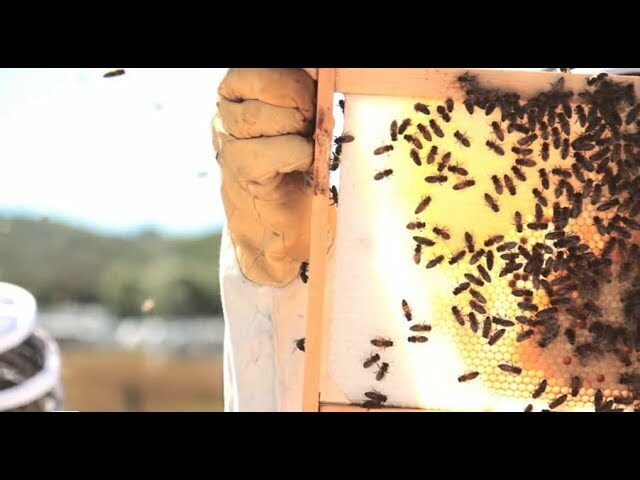 Home2Hive Tours: Experience urban beekeeping at its finest! Take a guided tour along Calgary’s beautiful river pathways and discover A.B.C’s unique urban apiaries. Observe honeybee behavior from a distance with a glass of Fallentimber Mead or put on a veil and take part in a hive inspection. A perfect way to enjoy Calgary’s long summer evenings! Field Day 4-Packs: Field Days are the perfect introduction to honeybees for first-timers, a great refresher for novice beekeepers and a blast for eager kids. These fun afternoons start with a potluck lunch and introduction to the world of bees. Afterwards a few hives are opened to see what the bees are up to and give you the opportunity to get in and feel your way around a beehive! Level One Beekeeping Certificate 2015: Available for Red Deer, Camrose and Edmonton. The 16 hour intensive program will offer everything you need to know to begin beekeeping. The course is taught by Eliese Watson, founder of A.B.C. Traveling all-over North America teaching and mentoring under beekeepers such as Corwin Bell, Sam Comfort, and Kirk Anderson, Eliese has a wide knowledge of natural beekeeping practices with both TBH and langstroth equipment. Level Two Beekeeping Certificate 2015: The Level Two Beekeeping Certificate is a program which includes 15 hours of field work and 3 hours of classroom time in 5 classes a summer. With a maximum of 10 students per group, the course will include materials detailing seasonal management of honey bees in Alberta, the making of splits, combining hives, starting and queens, and integrated pest management. To ensure that your gift arrives to it’s Alberta address prior to the 25th, please complete your purchase by December 13th, 2014.